Here’s a hot sneak peek of NARS Summer 2019 Makeup Collection. NARS has been spamming us with a lot of face and eyes palettes back in 2018 and they keep the game pretty intense in 2019 as well. 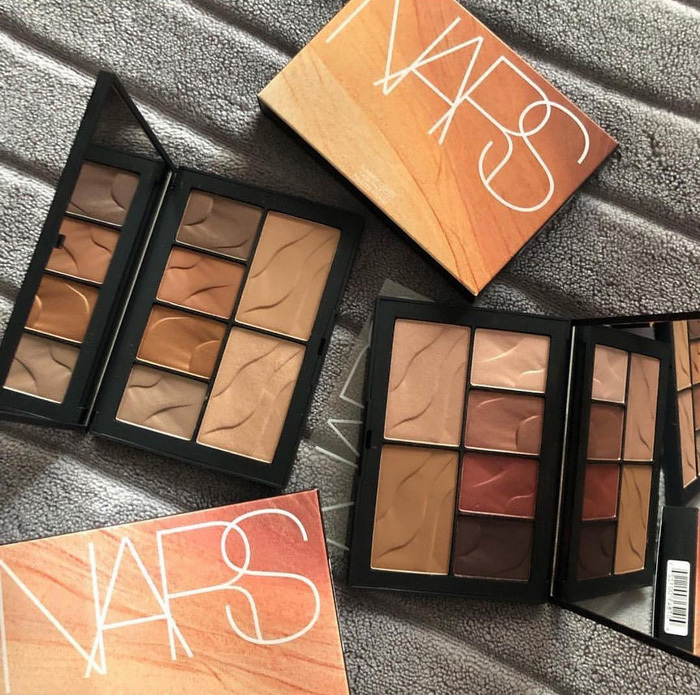 I personally bought their new NARS Spring 2019 Exposed Face Palette (upcoming review on the blog) and I was kinda getting tired of the palette format. I guess I enjoyed too much NARS Hot Tryst Palette (review, swatches) and I wanted something new. To me the NARS Summer 2019 Palettes look just a bit different but I don’t know if is really enough to get me excited. So for NARS Summer 2019 Collection we will get two variations of NARS Face & Eyes Palettes. Basically we are getting 4 neutrals eye colors, one bronzer and one highlighter. As always you can definitely mix and match the shades as you see fit. I’ll post more information later on but so far it looks that we are getting neutrals and nudes for Summer 2019 from NARS. The sandy pattern definitely looks summer appropriate but somehow these palettes are not calling my name so far. The launch date is still unknown as we are too early in the year for this information. Just make sure to follow the blog for any new updates or my Patreon Page where I often post the latest sneak peeks!